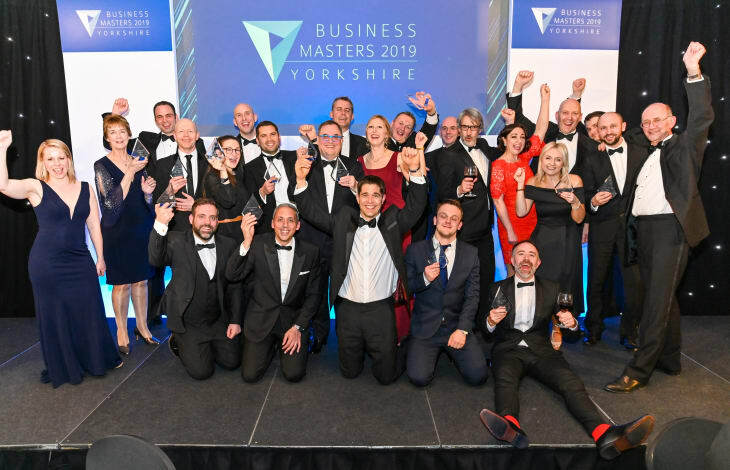 Town Centre Securities (TCS) were last night (28th March) announced as winner of the ‘Contributing to the Community’ award at The BusinessDesk Yorkshire Business Master Awards 2019 in recognition of its charitable work across the region. 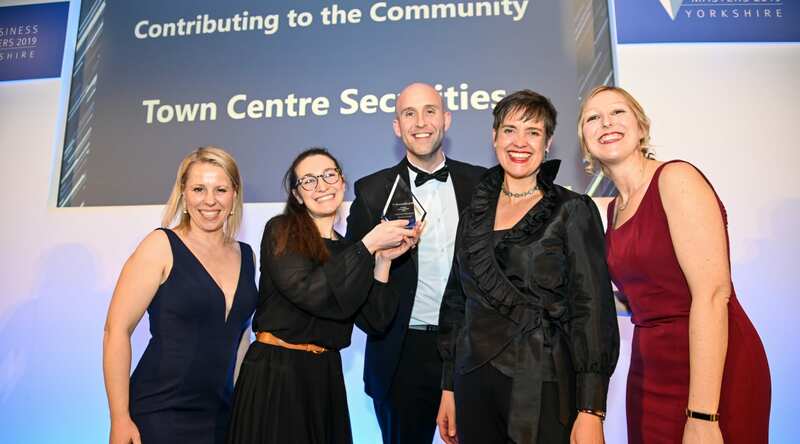 The award was presented to Head of CSR for TCS, Charlotte-Daisy Leeming and Head of Marketing James Broughton by BBC Radio 5Live’s Danni Hewson; Kate Hainsworth, CEO of Leeds Community Foundation (who TCS are proud to support) and Kayley Worsley, Editor of the TheBusinessDesk Yorkshire. Charitable donations by TCS in 2017-18 amounted to £144,500 (£125,000 in 2016-17), £28,500 of which was raised through events, collections and competitions in the company’s single largest asset, the Merrion Centre in Leeds. The judges awarded the accolade on key initiatives delivered by TCS, including the donation of a mini bus to East SILC John Jamieson School (in conjunction with Variety The Children’s Charity), working with Autism Angels on a number of innovative efforts during Autism Awareness Month, and partnering with Candlelighters in raising £10,000 as part of an autism friendly Santa’s Grotto. 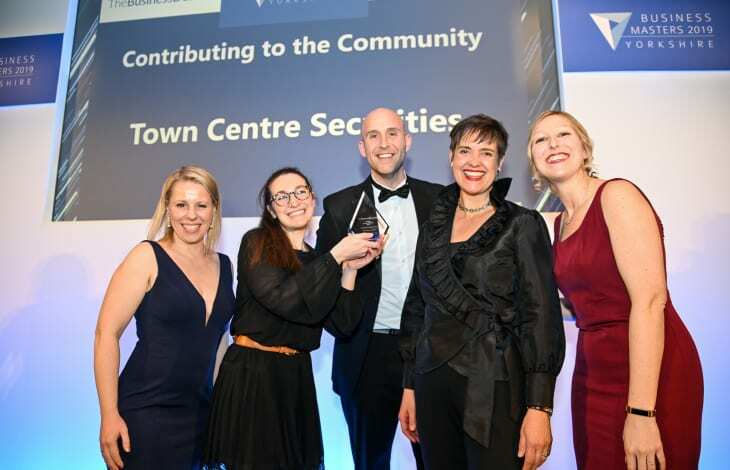 “TCS is thrilled to win this prestigious “Contributing to the Community” award. We are privileged to be able to support a wide variety of charities and implement life changing initiatives and would like to thank the judges for recognising the team’s hard work.